Place apples in baking dish. Sprinkle apples with 2 tablespoons granulated sugar. Combine lemon juice and cornstarch and stir until smooth. Pour over apples and toss together gently. Sprinkle apples with 1 tablespoon of cinnamon. In a medium bowl, combine oats, flour, sugar, and remaining 1/2 teaspoon cinnamon. Cut in butter using a pastry blender, forks or your fingers until it resembles coarse crumbs. Top apples evenly with crumble mixture. Bake about 20-25 minutes until bubbly and topping is lightly browned. Cool about 5-10 minutes and top with vanilla ice cream, if desired. Serves 8. 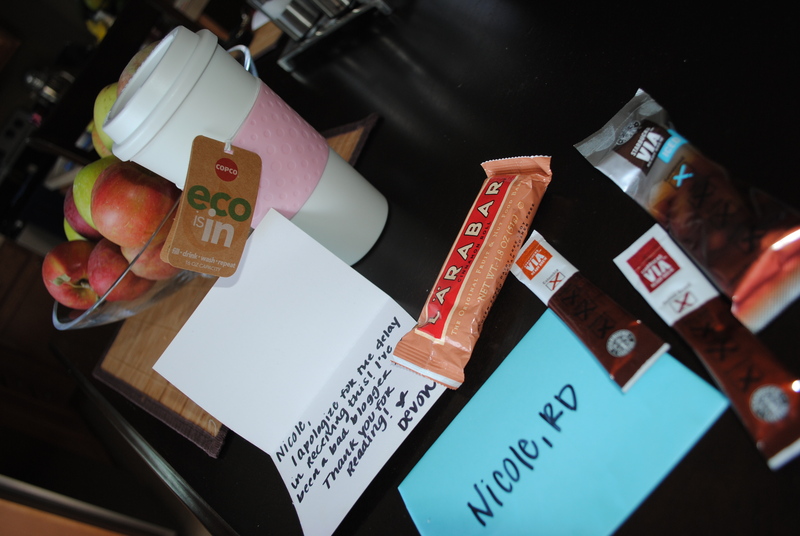 I love that Devon wrote “Nicole, RD” on the envelope…to cute! The thermos is not only adorable, but also microwave safe! LOVE this! I don’t own a tea kettle, so I typically warm my water for tea in a glass and transfer it to a thermos to take to work, as most thermoses are not microwave safe. She also sent a cinnamon spice Larabar — can’t go wrong with Larabars, and I’ve never tried that flavor — as well as Starbucks instant coffee. Necessary for this morning? Likely so! Thanks, Devon! On an unrelated note, I wiped out my iPod yesterday to start fresh…there’s simply no reason for exorbitant numbers of songs by Ace of Base and Brittney Spears to be on anyone’s iPod, promise. So, what’s your #1 workout tune? A huge hello to new Prevention RD readers! There seems to be quite a few of you! 😀 Thanks for reading!! Food Trivia Question: What is the only food that does not spoil? Hint: It’s sweet! 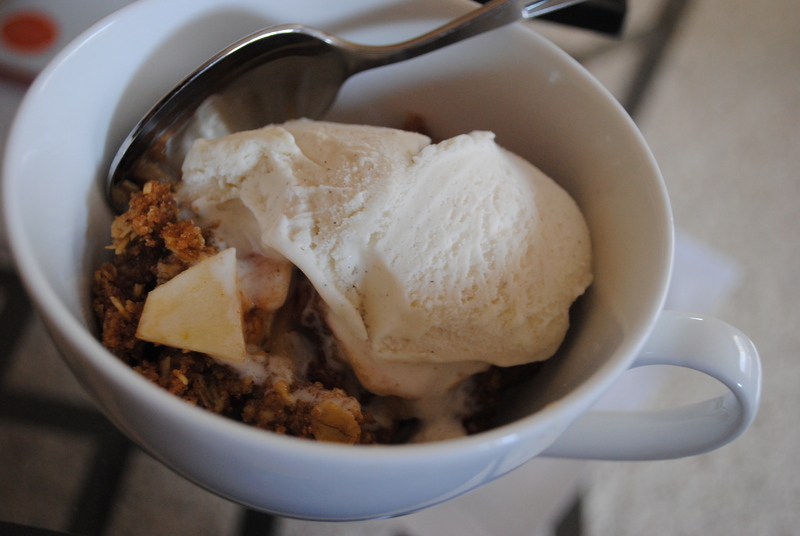 I love apple crisp… mmmm. And I’m going to go with chocolate doesn’t spoil?! But I have no idea. SUGAR?!?! is that it?? Or it that not a food? Hmmm..actually sugar spoils…is it syrup or honey?! 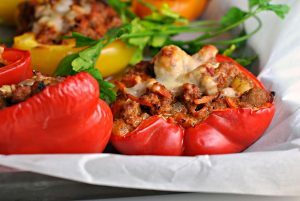 Thanks for these fabulous recipes! Right now I’m trying to come up with some good pumpkin recipes for my 24 pounds of canned pumpkin…. The breakfast cakes sound perfect. I love appl crisp and apple cobbler! We went apple picking this weekend and I have 25 pounds of apples in my fridge! Now I just need a burst of energy to be creative with them. I’ve been making pumpkin, apple, raisin oats every day and it really hits the spot! I have a bunch of home grown apples that my aunt gave me the other day that are sitting in my fridge. I made homemade apple dumblings with them the other day…..crust and all! They were good! IT’S HONEY!! I remember this! If it crystallizes, you just let it sit in warm water to turn it into liquid again. 🙂 Btw, love your blog. 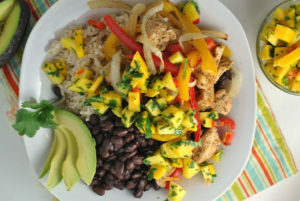 I have PCOS too & am just in love with all your recipes! I would guess sugar doesn’t spoil? Not really sure. I LOVE apple crisps– they’re SO much easier than pies, and just as delicious! 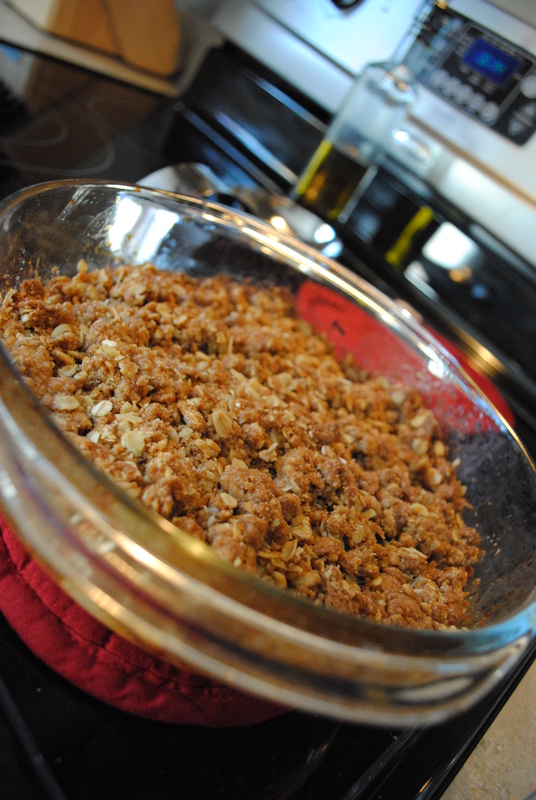 What a great recipe for apple crisp – I hope to go apple picking this weekend! Honey is the only food that doesn’t spoil! I love the apple crisp recipe! It’s the perfect thing to make with apples! I absolutely love apple crisp. I’ll have to try using smart balance, although I believe I usually do an oil variation rather than butter. Either way, crisp is such a lighter, healthier alternative to pie! Sugar? But that’s technically not ‘food’. Something with sugar though! Lol. I think I could eat apple crisp with every meal. I had to look up your trivia and glad you have such smart readers who already knew. Number one workout tune…..that is tough! “Go Girl” by Pitbull ALWAYS gets me going, though. Ohhh–the food that doesn’t spoil–is it honey? I think I heard that somewhere, but I could be totally wrong! Oh apple crisp. We have a love hate relationship. Its delicious, and I love it, but back when I was younger my brother and I had wheat/egg/dairy allergies. Apple crisp was pretty much the only dessert my mom ever made because we could eat it. Every family dinner, every bbq, every holiday, thats what we got. I havent eaten it since. Ooo I love apple desserts! I just made my first ever apple pie!! you should check it out! I was proud 🙂 So many new fall-ish recipes popping up!! LoVE IT! You can surely send some of your apples my way so I can make that lovely dessert. And ice cream on top? Your my kinda gal!! I think I am going to have to do the same to my iPod – I’ve had the same 300 songs for six months! My guess is chocolate doesn’t spoil? ?